Sharply styled inside and out Volvo's usual virtues of safety and simplicity remain core to the S40's appeal. 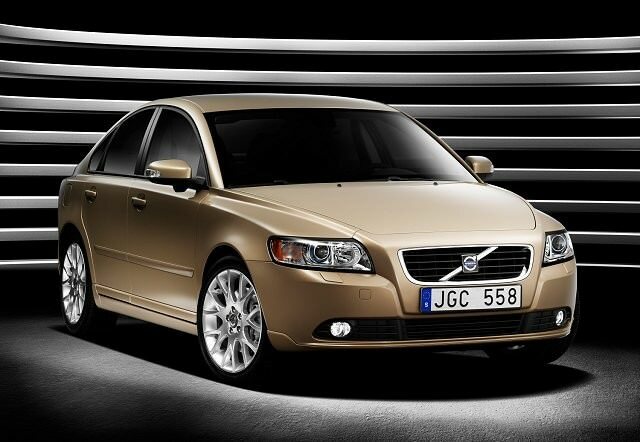 Like its C30 relation the S40 was developed by Volvo when the company was under Ford's ownership. Underneath it's related to Ford's Focus, which means it's among the smaller saloons out there. Sharply styled inside and out Volvo's usual virtues of safety and simplicity remain core to its appeal. Introduced in late 2004 the long production run means plenty of choice on the used market, for almost every budget. With a production run spanning eight years the S40 has been offered with a wide range of engine choices. Most common are the smaller four-cylinder petrol and turbodiesel options, but Volvo also offered the S40 with five-cylinder units in higher performance derivatives - including the range-topping T5 that featured a turbocharged 2.4-litre petrol engine driving all four wheels. It's quick - and rare - though find one and it won't be cheap to run. Best options then are the 1.8-litre petrol (latterly a 1.6-litre) or the 1.6- or 2.0-litre turbodiesels. The latter - in particular the 1.6d with 109hp - are the most readily available in newer used examples, with more petrol models available in earlier years. Running costs on the diesels are the most palatable, with the 109hp 1.6d offering an official combined consumption figure of 4.9 litres/100km and the 2.0d 5.6 litres/100km. All drive with surprising verve thanks to some Ford DNA in the chassis, the S40 an enjoyable car even in its least powerful guises. The suspension offers good bump suppression and fine control, while the steering is pleasingly sharp. The trade-off is space, the S40 being small compared to a Toyota Avensis or Ford Mondeo, with a tight rear passenger compartment and a small boot. That's particularly true inside, Volvo's simple, yet stylish interior detailing - including the cool 'floating' centre console - making the S40 feel more special than its mainstream rivals. Trim levels follow Volvo's usual S, SE, Luxury and Sport choices, with the economy-special DRIVe also available on the newest cars. It's impossible to ignore the 1.6d model with the S40, not least as it makes up the majority of choice in the used marketplace. It's actually preferable to the 2.0-litre five-cylinder turbodiesel, as, while it delivers more performance, it's not as refined as its four-cylinder relation. What you lose in performance you make up for at the pumps, too, the 1.6d sipping fuel at a rate that's friendly to your bank balance. A stylish, if compact, saloon for those not so worried about space and more concerned about good looks and quality. Enjoyable to drive, yet retaining Volvo's traditional focus on safety, the S40 is an interesting, more prestigious choice than the mainstream rivals it competed against when it was new. The small diesel engine provides pocket-friendly running costs and all trim levels come decently specified, too.